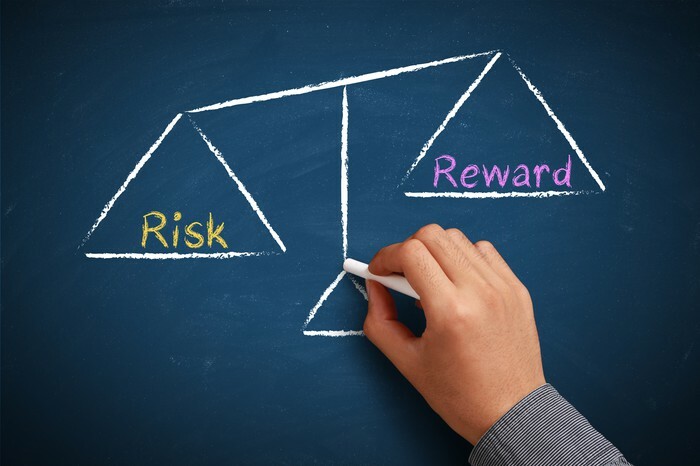 There are two extremes on the risk spectrum when it comes to describing property investors. At the other end are those who are happy to take some chances. These investors are constantly on the hunt with a, ‘damn the consequences’ outlook. They’re keen to spot opportunities first and pounce before others with scant regard to the dangers. Every investor will fit somewhere on the scale, but the most successful are those who can find a balance between both types – the ability to pivot and spin in a seemingly fearless fashion while still maintaining a measured approach to risk. This is a fluid investor. Here are my tips on how to become ‘like water’ when investing. Fluid investing is for buyers open to participating across the spectrum of investing categories broadly on offer in Australia’s property markets. Fluid investors can step into different realms with confidence because they recognise that building a successful portfolio should include diversification, and opportunities don’t just exist in one location or property sector. Key to success as a fluid investor is first establishing a firm financial foundation. Successful investors define long-term goals and ensure their path will allow plenty of buffers so that their first and second investments set them up for the future. While some high-risk types might want to jump in with scant regard for future financial downsides, this is foolish investing, not fluid investing. You just can’t safely take advantage of future opportunities without having first established a solid baseline portfolio. While I encourage everyone to learn and grow as they move through the ranks of real estate investment, attempting to tackle a new location or property type ‘cold’ will lead to heartache. You should be prepared to try something new only when you’ve completed the knowledge groundwork needed to make smart decisions. Ask questions, read literature, analyse the data. Do a few ‘dry runs’ at potential investments to see if they’ll fit the bill. Without knowing and understand the asset class and location you’re pivoting too, you are just speculating, not investing. Part of becoming a fluid investor is learning from others who’ve blazed the path before you. Often, that means relying on talented professionals in their field of expertise. As an example, I have done well out of being a property investor, but I also like to diversify my portfolio into securities. I also realise that I only know enough about the share market to get myself into trouble if there’s no professional guidance. As such, I happily rely on the advice of my trusted long-term stockbroker. If you’re thinking about shifting into a new property investing space, make the effort to meet and talk with experienced professionals who can help you navigate a safe path. I know – asking fluid investors to ‘be liquid’ sounds entirely obvious. Being liquid means you have buffers of equity and cash flow in place. It’s a cornerstone principle of every strategy, but it’s importance to fluid investors cannot be overstated. Being liquid allows you to take advantage of any new opportunities without risking everything. It means you can transition smoothly into new markets because you have the security of buffers. Remember though – if you are not liquid and are skating along your financial edge where a wrong choice could tip your plans into fiscal oblivion, just sit still and don’t move. It’s better to let a couple of opportunities pass you by while building your reserves than to make one wrong choice capable of bringing the whole scheme crashing down. Knowing when to move away from one market and into another involves tracking the fundamentals across both. Watching those well-established economic metrics of supply and demand is an indicator of how markets perform. Tracking the number of construction approvals, keeping an eye on yields, looking out for auction clearance rates and staying abreast of finance movements. Watching these fundamental metrics on markets of interest will tell you when it’s time to switch your attention from one to the other. When I talk about diversifying away from familiar investment, I don’t just mean by location. Fluid investors are borderless when it comes to opportunities. They readily accept it when one of their investment stomping grounds has run its race. That’s when it’s time to start looking further afield. Of course, distance is not the only way to define the distinctive real estate options. We are also talking about varying price sectors – each of which can perform differently even within the same geographic area. For example, markets change in response to demographic shifts. As a location’s lower price sector reaches a peak in demand, so a new demographic may cause a wave of demand to shift into upper price bracket. There are property-type differences too. While investor-style units are currently ‘out of favour’, some buyers will benefit from purchasing an owner-occupier apartment stock within the same location. Commercial investment is another way to flex your portfolio. This has become a particularly interesting sector for Sydney investors as they rush to higher yields in the wake of post-peak residential prices. Other choices might be to unearth large allotments with simple small development potential, or perhaps you see opportunities in renovation deals. Be fluid across all the variations offered by property. As mentioned, you need to be right across your subject before changing your tack, but you should also avoid leap-frogging too quickly into the unknown, regardless of how much knowledge you require. It’s important to gain knowledge gradually – becoming an increasingly sophisticated investor in a measured and organic way rather than rushing ahead. For example, I would not recommend tackling a small development project as your first deal – regardless of how good it looks. Instead, start with a home or unit and perhaps move into a small renovation or extension after that. When you do make it to the small development stage, try an easy project such as a land split before you tackle a construction deal. Being agile doesn’t mean being foolish. Liquid investing is an opportune way to make great gains through property, but you must stay between the flags of good sense, or risk drowning. If you’re looking for help to become more successful while being flexible, we’re here to assist.